Everyone knows that traveling with young children can be difficult. On the plane, they often cry. When you’re waiting for the taxi to get to the hotel, or walking around the airport, they cry. You can understand why they would! I’m sure many of us adults have wanted to cry as well. It’s a stressful time filled with emotion. It can be overwhelming to the little ones who don’t quite understand what’s going on. Of course, that stress won’t stay at the airport if you’re struggling to find your hotel. Or, trying to find the best place to go sightseeing. Even if you’ve thoroughly planned your vacation, there’s a chance you may get lost. It happens to all of us in new places. All it takes is reading the map wrong or switching around letters so your GPS can’t read the directions. Why not save yourself all that stress in the first place by calling Atchison Transportation Services? Our transportation services offer a variety of options, from the standard car and SUV to limousines. Hiring our courteous and professional drivers is worth it for the stress-relief. Your young children will be much happier getting from point A to B in a timely fashion. Let’s face it, so will you! Nothing ruins a vacation like struggling to find a direction, after all. One of the cool things about Atchison Transportation Services is that we can take you around to sightsee, as well as get you settled at your accommodations. Our drivers have years of experience and they know everything there is to know. Your driver will know where you want to go, even before you do! They are professional and courteous. Their job is to make your vacation go smoothly. You can count on Atchison Transportation Services to get you anywhere you need to go. 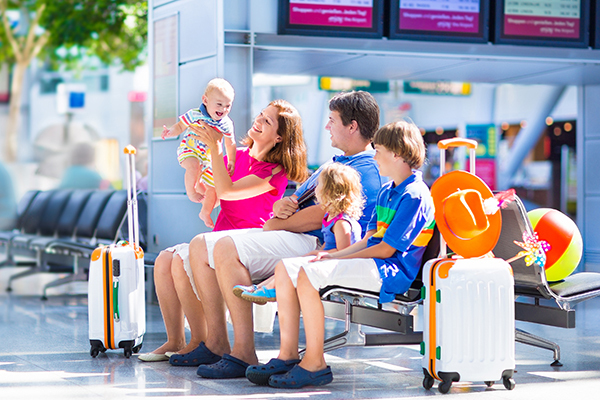 Transportation services are particularly helpful when it comes to leaving the airport. You could rent a car, but that leads you right back to confusion about where you’re going. Spouses tend to argue more over “getting lost” than anything else on vacation. You wouldn’t want something so avoidable to be the downfall of yours. Consider airport transportation services to get you to your accommodations quickly and efficiently. Young children can get impatient when it comes to waiting long periods of time, or what seems like a long period of time to them. So don’t get stuck waiting and call Atchison Transportation Services. When it comes to relaxing, enjoying your vacation and traveling with the family over spring break, there are many benefits to using Atchison Transportation Services. You’ll never have to worry about forgetting where your hotel is, for instance. You won’t have to worry about being able to catch a taxi to get you to your dinner reservation on time. Really, using Atchison Transportation Services is a care-free way to get around on your vacation. After all, your vacation is about relaxing and having a good time with your family. Let Atchison Transportation Services take some of the stress off. Your chauffeur will take care of the map. It’s really a winning situation for your whole family. Contact us online or by calling 800-346-7129 to reserve transportation services with us today!